Thunder have released a video for Wonder Days, the title track of the band's forthcoming album. Full details surrounding the release, the follow-up to 2008's Bang!, will be announced tomorrow. The video was filmed recently in Tokyo in front of 15,000 fans. Last month Thunder played a free show for fans at London’s Brooklyn Bowl venue, a show recorded for release as a cover-mount CD accompanying the February 2015 edition of Classic Rock. 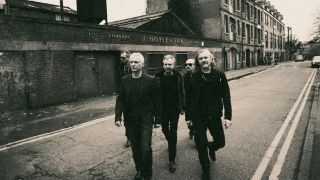 In September, the band promised the new album would be worth the wait, and announced a short UK tour for March 2015, where they’ll play alongside Reef and Tax The Heat.